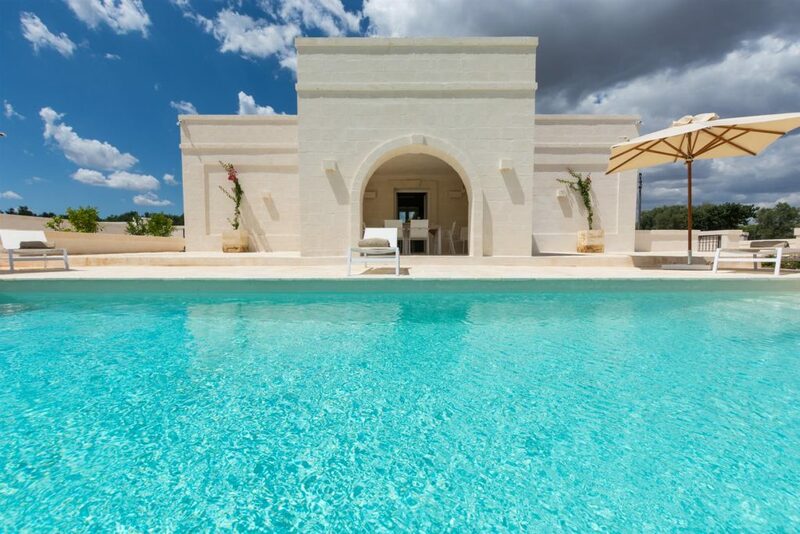 La Corte dei Messapi is a wonderful Luxury Villa located near Ostuni, Puglia, which consists of a main villa called ‘La Residenza‘ and another one called ‘Il Casalino‘. Both villas have their own swimming pool and all facilities, and they can be rented separately. It is possible also to book the entire property (both villas at the same time). This splendid property has also a few ‘Trulli‘, that have been transformed in a very unique suite. 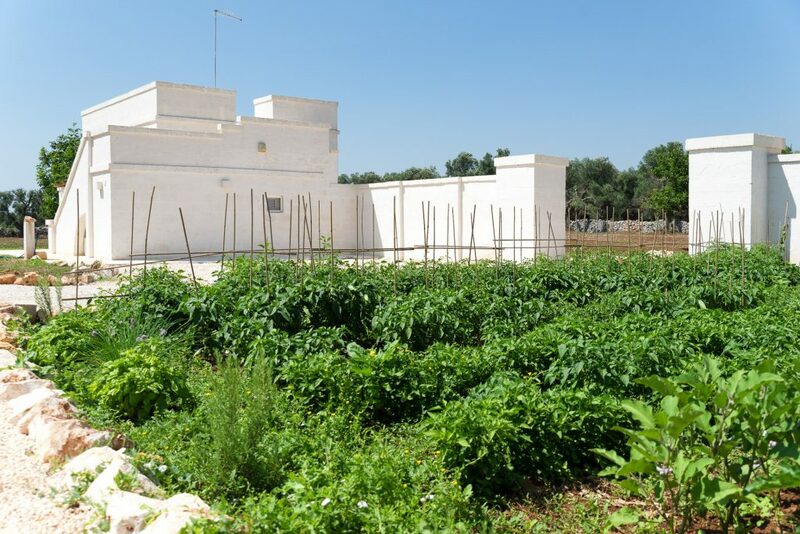 Moreover, there is also a fabulous garden (‘Orto‘) where you can get fresh vegetables and herbs to cook during your stay! 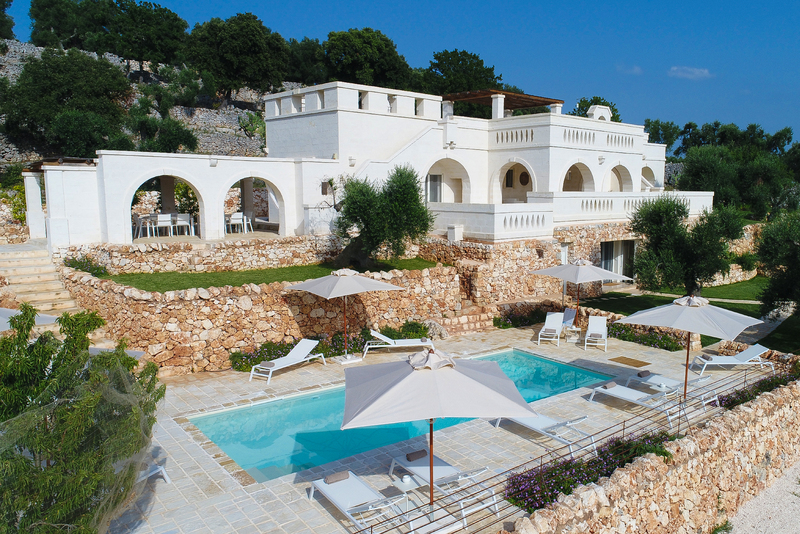 La Residenza is the main villa of the property and together with the Trullo-suite can accommodate a total of 16 guests. It has 8 bedrooms, 8 bathrooms and 2 service-toilets. There is a luxurious outdoor swimming pool (4×11 meters / 12×36 feet) that overlooks the entire property, with breathtaking surroundings. From there, you can enjoy relaxing sunny days and magnificent sunsets, as the sun actually sets right in front of the pool! 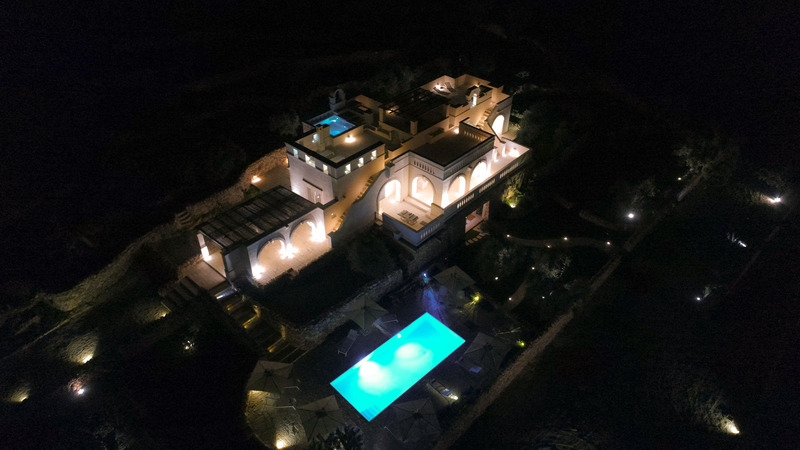 Il Casalino is located at the entrance of the property, and it consists in other 2 villas (Main Villa+Torretta) with their own swimming pool. 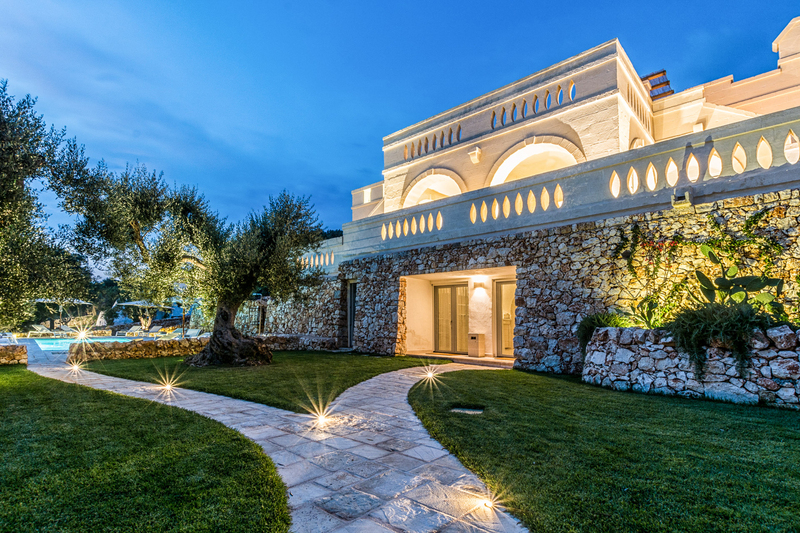 The Main Villa here can accommodate 6 people and the other small one 2 people, that can be considered as a private suite. Every room has air conditioning. The interior design has been thoughtfully conceived with barreled ceilings, providing to the villas authentic and traditional vibes. La Corte dei Messapi has a few authentic ‘Trulli‘ that have been transformed into a very unique suite for the guests, which can be enjoyed only while booking ‘La Residenza‘ or the entire property. 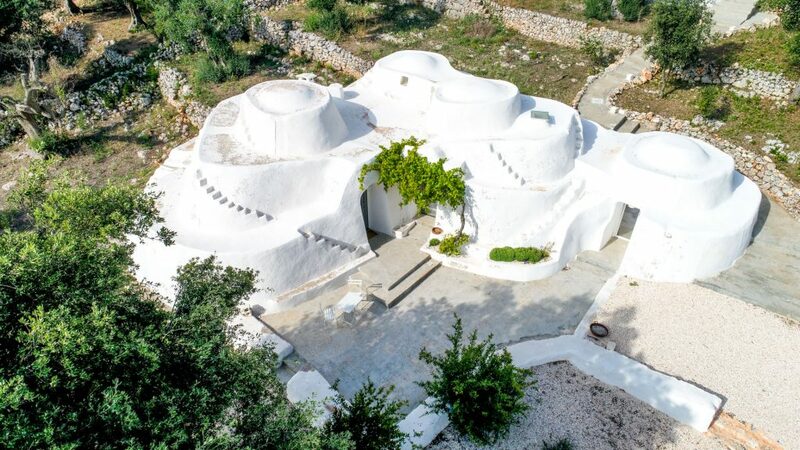 The Trullo-suite is separated from ‘La Residenza’, with a certain degree of privacy, ideal for a couple or for a special experience for your guests. 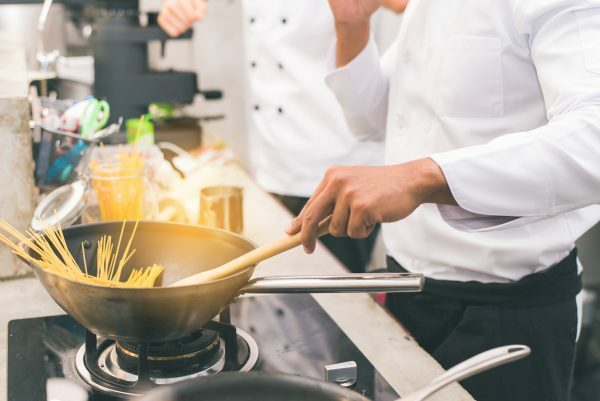 At La Corte dei Messapi you can get several extra services to make your stay even more memorable!